Many seniors and older adults can no longer drive themselves due to injury, disability, or fear of getting behind the wheel. Rideshare services, such as Lyft can get these individuals wherever they may need to go, safely and securely, without any hassle. 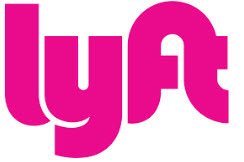 Seniors might have questions on what ridesharing is so we sent a list of questions to Lyft's communications team to help address the topic of senior ridesharing. Ridesharing is a service that arranges peer-to-peer rides on-demand. Passengers are matched with a nearby driver who picks them up within minutes and takes them where they want to go. At Lyft, safety is our top priority. We have policies and features that protect both drivers and passengers. All drivers undergo a criminal background check, a driving record check, a vehicle inspection and an in-person screening. When passengers request a ride with Lyft, they get a text that includes the driver’s name and photo and the make, model, license plate and color of the car. We also have a Trust & Safety team available 24/7 for emergencies. How are the background checks / screening completed? Applicants undergo rigorous screenings such as criminal background and driving-record checks (including queries of local, state and federal databases), social security traces, and a vehicle inspection. How do you maintain quality drivers? Passengers and drivers rate each other on a scale of 1-5 (5 being the best) after each ride. If you rate someone 3 stars or below, you’ll never be matched with them again. Consistently low ratings can put drivers at risk of deactivation. Seniors might need wheelchair accessible vehicles, is that supported? Drivers should reasonably accommodate passengers with wheelchairs or walkers. If seniors require a wheelchair-accessible vehicle we can accommodate this in certain markets where we have partners who specialize in this level of transport. How does the ride sharing avenue compare to owning a car both in experience and financially? A senior might fear driving but do it anyway, resulting in an accident. Then their family drives them but that isolates the senior and puts stress on the family. Since the average household spends $9,000 a year on car ownership, their car becomes an expensive ball and chain that is very rarely used. What makes Lyft uniquely different for seniors? We understand the unique challenges and needs of our elder population and build partnerships that will enhance their independence and reduce isolation. We’ve partnered with senior care communities, nonprofit groups, and home care providers, such as Brookdale Senior Living, Whistlestop, Avenidas and many others to help seniors get where they need to go. We also have a dedicated healthcare team and group of individuals who have 10+ years of experience in elder care. Any other ‘must knows’ that are relevant for seniors, caregivers, and home care agencies? We build custom solutions for each partner of ours in eldercare. Over the last five months, we have built dozens of partnerships with companies that directly serve our elder population and are giving tens of thousands of rides to our aging population every week. Look at background check procedures. Lyft has some of the best in the industry. Compare costs. Ridehsaring often costs less than a taxi and/or the cost of keeping a vehicle with limited use. Adult children can order a car for their loved one, making it a breeze for seniors to get a ride. Keeps older adults independent and able to attend appointments, social functions, and church activities. Gets seniors where they need to be safely and securely. According to the CDC, the risk of being injured or killed in a motor vehicle crash increases as you age. An average of 586 older adults are injured every day in crashes. Fatal crash rates increase starting at ages 70‒74 and are highest among drivers age 85 and older. Caregivers can download the Lyft app to schedule and pay for their older adult’s ride.